Welcome to the Fishing Report from Townsend, Tennessee in the Great Smoky Mountains. At 6:06 am, the temperature outside is a 33 degrees. Today will be beautiful, sunny with a high temperature in the low to mid-60’s. A low temperature of 50 degrees is predicted tonight. Tomorrow will be warm and wet. The chance for rain is 100%. A cold front will move in tomorrow night, with continuing rain changing to snow. The chance for snow differs, depending on which weather forecast your read. It may just rain. However, most weather forecasts I read, predict warmer than actual temperatures. So, it may snow. Expect high temps in the 40’s, Wednesday through the weekend. Lows will plunge into the 20’s each night. Little River is flowing at 96 cubic feet per second (cfs) or 1.64 feet on the flow gauge. Median flow for this date is 218 cfs. The water temperature is 45.9 degrees this morning. If you want to go fishing in the Smokies this week, go today or possibly tomorrow. The water temperatures are fairly warm right now, and should remain warm through tomorrow. Then, it is going to be cold. Water temperatures will plunge. Fishing will slow. We may get ½ to ¾ inches of rain tomorrow and tomorrow evening. We need the rain. It has been dry. If you go today, start with nymphs. Try a pair with the lower nymph weighted well. If you see surface activity, switch to a dry fly. You may see blue wing olives or other aquatic insects on the water. Looking ahead through December 18th, we should see very cold nights and cold water conditions in the Park. It may rain or snow some days during that period. 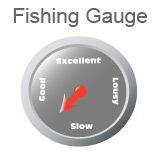 Water temperature plays a huge role in good fishing. That is why I talk about it so much. When the water is cold, a fish’s metabolism slows. They do not require as many calories to live. Cold water causes fish to be sluggish. They won’t waste energy to chase after food. They don’t need to. On the other hand, when the water is too warm for a particular species, their metabolism is in high gear. They need food. But, at their upper limit, I have found them to become inactive. Oxygen content can be low. Warm water does not hold dissolved oxygen well. 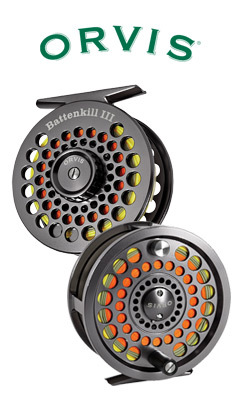 What we want, for good fishing, is water temperature in the fish’s optimum range. I call it their preferred range in this report, often. I found a chart online that seems to be somewhat correct from what I have experienced. You can see it by CLICKING HERE. According to this chart, brook trout are active when the water temperature is between 44 degrees and 70 degrees. Their optimum temperature is 58 degrees. Brown trout differ, according to this chart. They are active when the water temperature is between 44 degrees and 75 degrees. The high number surprised me. The brown’s preferred range is 56 degrees to 65 degrees. Rainbow trout become more active when the water temperature rises to 44 degrees. I know that is true. Their optimum temperature is 61 degrees. I agree with that. The chart states the upper limit for rainbows at 75 degrees. I would not fish for any trout in 75 degree water. 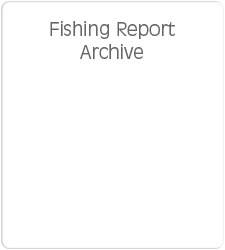 Other warmwater and saltwater fishes are listed on this chart. It is interesting to read. We do best during the cold months, in the lower elevations where the water is warmer. We wait to fish later in the day, when the water has warmed. During the hot months, we fish the higher elevations, where the water is cooler and avoid the lower elevations. Sometimes we go earlier, when the water is cooler. Today, thanks to the internet and the United States Geological Survey (USGS), we can see water temperatures at some sites, in real time. Many sites do not have temperature measuring equipment. The USGS site on Little River in Townsend does. There was a time when the water temperature at the Townsend site stopped reporting. That went on for months. The probe was there, in the water. I could see it. I drove by one day and saw Terry, the USGS person who maintains our site and works out of the Knoxville field office. I stopped to talk and asked about the water temperature probe. He told me it was working, but the website was not reporting. The websites are handled by another office in Nashville. He said he would ask them to add the temperature data to the Townsend Gauge website, and they did. That small and seemingly insignificant number means a lot to us fly fishermen in the Smokies. Evidently, scientists who use data on USGS sites do not use water temperature as much as we do. Some of the USGS web pages I visit do not have water temperature. Others do. If yours does not, maybe you should ask why not.